Magazine All Things Mojito for National Mojito Day! Happy National Mojito Day, Americans!! Today is the day in which it is more than acceptable and almost obligatory to have one too many mojitos… in England too. Here are a few recipes to fully embrace this celebration of such iconic Cuban drink – the cheesecake is a personal favourite ? 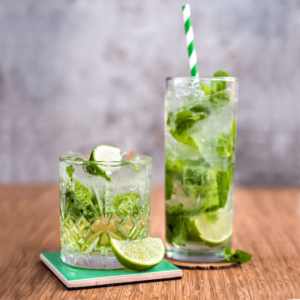 The Mojito is the perfect drink for those warm summer days at the beach when all you need is a super refreshing cocktail to sip on! To make the classic Mojito you’ll need 40ml of rum, 15ml of fresh lime juice, 10 ml of sugar syrup, soda to top and a spring of mint. Clap the mint leaves between your hands, muddle them lightly at the base of the glass. Add crushed ice and all the other ingredients – stir well. Top with soda and garnish with a spring of mint. For the Bolivian Mojito, drop the lime juice and add 15ml of Agwa. Garnish with lime slices! 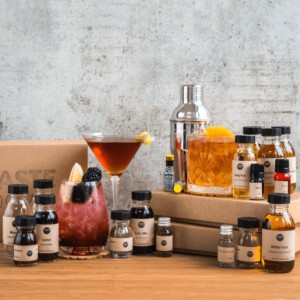 Get all you need to make outstanding Mojitos in the TASTEcocktails Shop! Really easy to make and perfect for summer. Using a combination of condensed milk and whipped cream as the base means that it’ll freeze perfectly even without an ice cream maker! 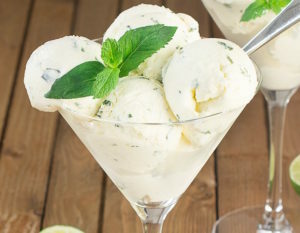 All you need is: 400g can condensed milk, 500ml double cream, 150ml white rum, 4 limes and generous handful of fresh mint leaves (about 15g of leaves). Click HERE to view the full recipe on Charlotte’s Lively Kitchen blog! You don’t need to be a chef to make these but they are a little more complicated to dish out than beans on toast ? 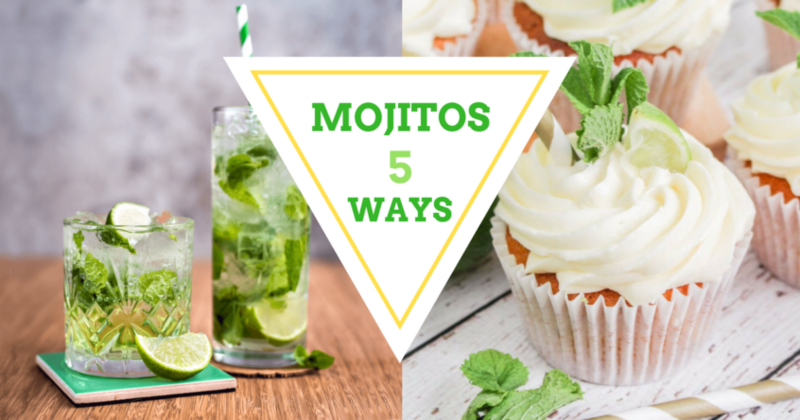 Truly a mojito cocktail in cupcake form! 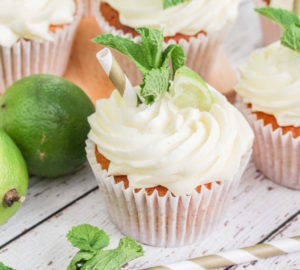 A light zesty lime cupcake, covered in a lime mint syrup, and frosted with a rum and lime buttercream. Perfect for summer and any other season of the year… Click HERE to check out how to bake them on What Charlotte Baked blog! Cheesecake just got a whole lot naughtier! Zesty, sweet and boozy it might be the best of its kind out there… Check out this video with the full instructions on how to make it. Your shopping list needs to include: 200g ginger biscuits, 50g butter (melted), 400g cream cheese, 1 x tin condensed milk, 150ml double cream, zest of 3 limes, 1 tsp vanilla extract, 5 tbsp rum, Handful chopped mint leaves, springform cake tin lined with cling film. Check out the full recipe on UNILAD!